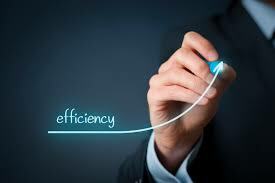 “Law firm efficiency and agility top of mind. “Operational efficiency is both a challenge and opportunity. You May Have an Amazing DMS but Can Your People Use It? Just because your firm purchases a top-notch document management technology, such as NetDocuments, does not mean your people will know how to use it properly. That, of course, leads to a loss of efficiency (and mistakes!). For example, we can all agree that Smart Boards have been an amazing addition to our children’s classrooms, but when teachers don’t know how to use them, they’re just expensive furniture. And we’ve all seen the teacher who refuses to use his or her Smart Board – students and parents expect more today. As do law firm clients. In order to use your fancy tools properly, you need to offer and maintain a training program that not only launches people for success at the outset, but helps them to keep advancing their skills as their needs unfold. Then, of course, that tool will be updated by its manufacturer on a regular basis and you need to stay on top of its new-and-improved capabilities. For example, NetDocuments is a company that continuously listens to its clients and launches updates to improve user experience. Your firm needs a way to anticipate those changes and train people to use them. The best solution to that challenge is to find a training partner whose entire job is to keep your firm working with its current tools at maximum capacity, and to help you anticipate and embrace the changes that are coming your way. Doug Striker is Chief Executive Officer (CEO) of Savvy Training & Consulting, a provider of legal software training solutions. As a former Chief Operating Officer of a prominent law firm, he specializes in helping firms acquire the software platforms they need, training staff for maximum workflow efficiency, and enhancing continuity and bottom-line results.